Rosalina is only the third female major character in the Mario series, next to Peach and Daisy. She made her debut in Super Mario Galaxy, where she was the watcher of the cosmos and helped Mario in his rescue of Princess Peach. 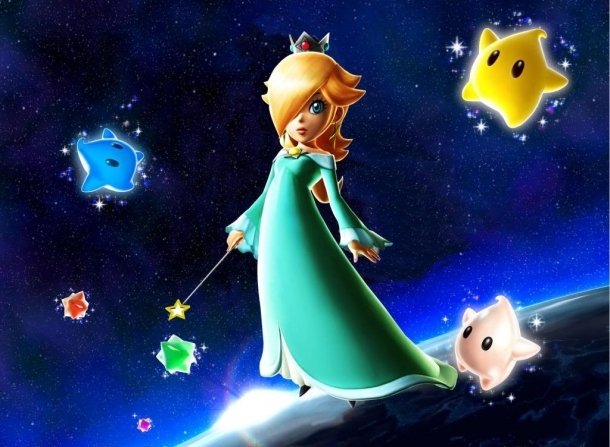 She is also the adoptive mother of the Lumas, a species of star-like creatures that appeared in Super Mario Galaxy. She resembles Princess Peach somewhat, although she is taller than her (almost as tall as Waluigi). She is considered to be very kind and has mother qualities, which is displayed in her caring nature with the Lumas. She also displays a lot of knowledge about the universe. 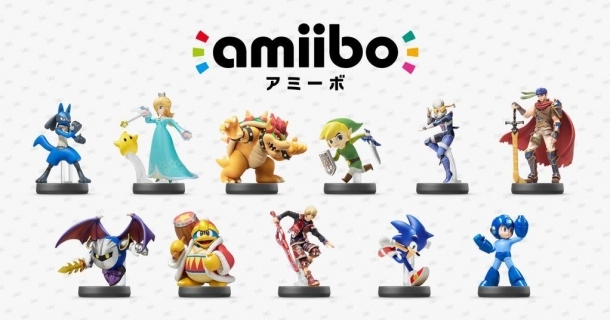 Her hair is lighter than Peach's, she has blue eyes and she wears a turquoise dress. Super Smash Bros. for Wii U and 3DS is a crossover fighting game developed by Sora and Bandai Namco Games which is published by Nintendo for the Nintendo 3DS and Wii U.
Mario Kart 8 is the eighth entry in the Mario Kart series of games, developed by Nintendo EAD and released exclusively on the Wii U. This will be the first installment of the series featured on an 8th-generation main console and supports up to four-player kart racing. Mario Party: Island Tour is a party game developed by Nd Cube and published by Nintendo for the Nintendo 3DS. It is the thirteenth overall game in the Mario Party series and the first one for the 3DS. The game features popular characters from the series coming together to play on various board games, with the goal being to beat the other players to the end. Super Mario 3D World is the first 3D mario game for the Wii U. The game draws heavily from its predecessor Super Mario 3D Land. It will feature up to four player simultaneous co-op with Mario, Luigi, Princess Peach and Toad. Each character will have different traits when played such as Princess Peach being able to float similar to in Super Mario Bros. 2. Mario Kart 7 is the seventh entry in the Mario Kart series and the first entry on the Nintendo 3DS. Developed by Nintendo EAD and Retro Studios, it features 3D graphics, gyroscopic motion controls, gliders, and underwater racing for the first time in the franchise. Mario Kart 7 has generally been met with both critical and commercial success, and is currently one of the best selling games on the platform.